People looking to retire to Hawaii are drawn to the Big Island’s Hamakua Coast for its relaxed lifestyle and rural setting. They enjoy the small town feel of communities like Onomea, Ninole, and Hakalau. And they enjoy the variety of fun and exciting cultural events found in this region. 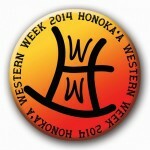 What is Honoka’a Western Week All About? With its mixture of sports, music, film, and educational events, Honoka’a Western Week, which takes place this week, is one of the most anticipated and well-liked events along the Hamakua Coast. Situated on the makai (ocean side) of Mamalahoa Highway 40 miles north of Hilo, Honoka’a is the largest town on the Hamakua Coast. Its downtown features a movie theater, several boutiques and shops, as well as a variety of restaurants and art galleries. 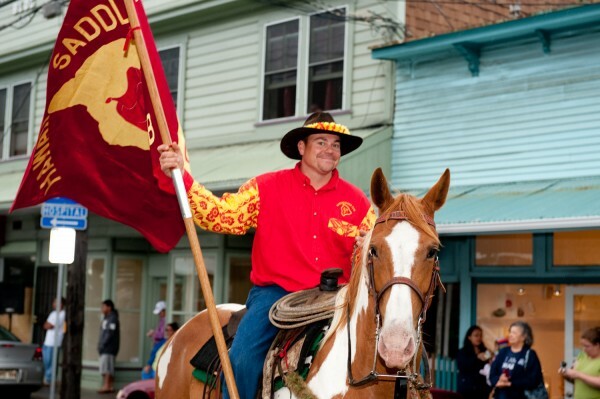 Sponsored by the Honoka’a Business Association, the Hawaii Tourism Authority, and the Hamakua Farm Bureau, Western Week honors the rich ranching and farming tradition of the region with a parade, rodeo, cooking contests, movies, music, and more. This popular community festival attracts visitors and residents alike from across the island who enjoy the small town friendly charm of Honoka’a. Indeed, local businesses pull out all the stops when it comes to Western Week with storefronts displaying elaborate decorations and offering special sales and events as part of the festivities. Honoka’a Western Week officially got underway on Monday, May 19, with the blessing of the recently renovated Honoka’a rodeo arena and a chili cook off. On Tuesday, May 20, there’s a stick horse art event and on Wednesday, May 21, western movies will be shown at the historic People’s Theatre in Honoka’a. One of the most popular parts of Western Week is the Friday afternoon parade through the center of town. On Friday, May 23, Honoka’a will shut down its main thoroughfare so everyone can enjoy a massive block party. Stick horse races start at 3 p.m. with the parade on Mamane Street getting underway at 4 p.m.
After the parade there’s a steak fry and beer garden plus saloon girl and cowboys talent contests. It’s one large party with live music and people dancing in the street. On Sunday, May 25, and Monday, May 26, (Memorial Day), the 58th annual Hawaii Saddle Club Scholarship Rodeo takes place at the Honoka’a Rodeo Arena starting at 12 noon both days. 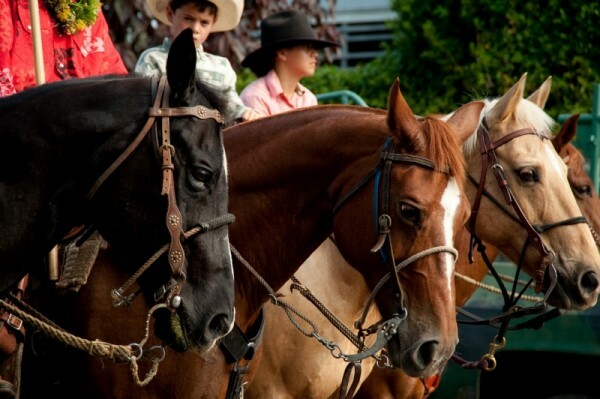 Cowboys (paniolo) have a long and storied history in Hawaii’s culture, and this event is a wonderful opportunity for newcomers and long time residents to experience an actual rodeo complete with bull riding, roping, and sheep riding for the keiki (children). For more information on Honoka’a Western Week go to Honoka’a Western Week’s Facebook page. If you’d like more information on Honoka’a and Hamakua properties for sale, give me a call today at (808) 937-7246 or email me.